A lovely collection of mugs and tea sets with themes such as tractors, cycling, owls, butterflies and many more. 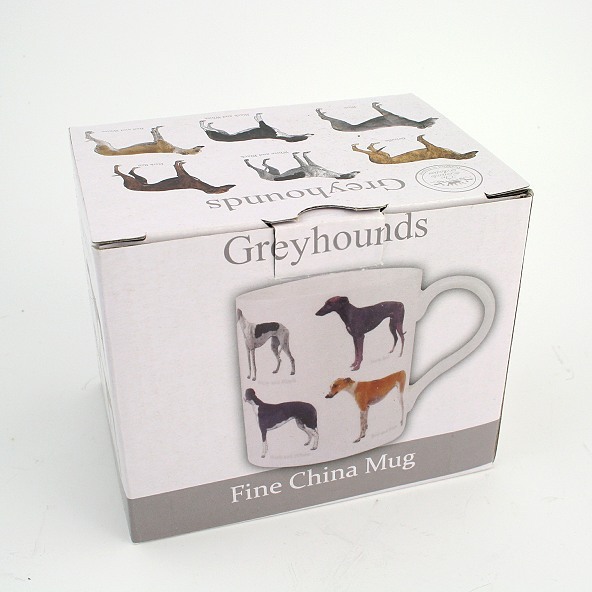 A smashing way to enjoy your first morning cuppa and a great gift! A classic aircraft china mug for anyone who has an interest in vintage aeroplanes. A sturdy horse racing scene china mug, showing race horses and riders jumping over a brush fence. A sturdy Traction Engine China Mug with a variety of traction engines and Steam Rollers in an attractive and colourful design. A vintage Landrover mug with an attractive scene of a land rover in a workshop ready for washing. A vintage tractor mug with a beautifully decorated scene of old farm vehicles in a country setting. Sturdy china mug with Greyhound dog breed colours including white & black, brindle, blue, red & white, fawn and more on a cream background. A cream china cycling mug with a blue bicycle picture and large letter word 'cycling'. A lovely gift for anyone who loves this mode of transport. A cream china lawn bowls mug with a picture of two bowls and a pair of bowling shoes and large letter word 'bowls'. Great gift for those who love this popular sport. A cream china horse riding mug with a saddle and riding crop and large letter word 'riding'. An attractive steam train china mug with steam trains billowing smoke and a railway station platform scene from a bygone era. A charming china mug with a black Labrador puppy dog sat in a game bag. Lovely way to enjoy a cup of tea! An attractive china horse mug with an equestrian picture showing black and bay horses in a friendly greeting. A wonderful way to enjoy your daily cuppa's. A beautiful frieisan cow china mug and coaster set with an attractive country scene. A fishing teatime gift set consisting of mug, coaster and small tray, for the fisherman in your life.